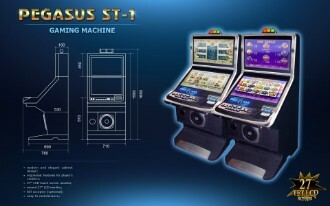 Pegasus gaming machines are a new product line of the company with improved hardware features. They ensure a higher level of comfort for the player and a more exciting in-game experience. Larger monitors are used, with better resolution, better sound and additional extras, as desired by the customer. 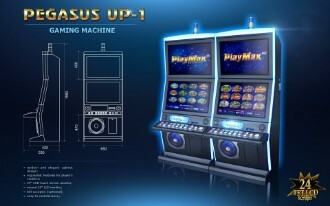 These models are compatible with the PlayMax + and PlayMax HD multiplayer and Eagle gaming platform.